Could increasing your prices get you the rewards you deserve? 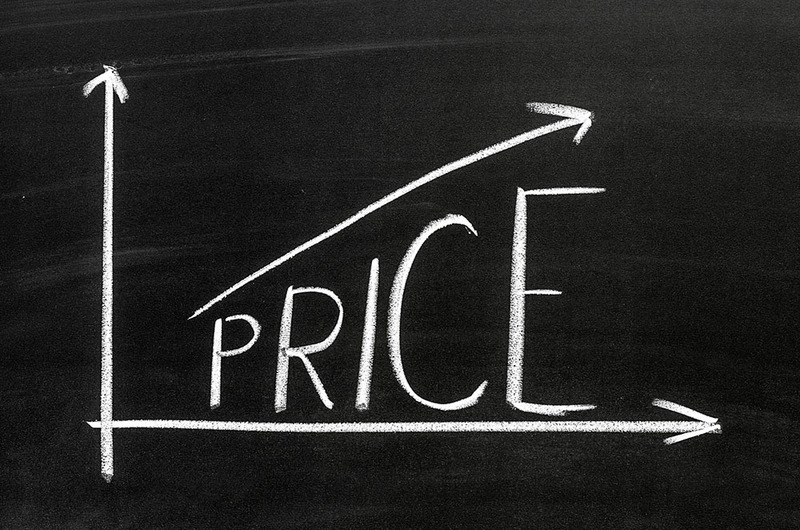 Increasing your prices could work wonders for your business, even if you lose some customers along the way. There’s less to fear than you think. Have confidence in yourself and your business and start generating the profit you deserve from all of your hard work. Say a business makes 50 sales a week for an average price of $80 each. If it increases its prices by 10% to $88, its revenues rise from $4,000 to $4,400. If we assume its costs remain the same, that’s a revenue increase of $400 a week! If it costs $60 to produce the product or service, the business makes $20 profit per sale before the price increase and $28 after. Even if overall sales drop by 25% because of the price increase, the business still makes more profit than before. Don’t fear losing all of your customers because that won’t happen. Consumers rarely object to small price increases as the cost of changing products is greater to them than staying with one they know and trust. You may even find some customers don’t notice your price increase! If consumers are receiving great benefits from your product or service then they’ll quite happily pay a little more for it. Be aware there may be some psychological effect on customers, but you may be surprised by how much the pros of staying with you outweigh the cons of leaving because of the price increase! Have faith in yourself. Look at the business you’ve created and be proud of it. You deserve to get great results. Products and services that are priced ‘competitively’ often differ little from others in the market but if you are selling a more specialised service or a better product, increasing your prices will help to set you apart from your competitors. Discovering the benefit of increasing your prices could be just the thing you need to take your business to the next level. Real Business Group helps business owners understand, grow and develop their businesses. Visit https://www.realbusinessgroup.com.au/ for more business aids, or e-mail office@realbusinessgroup.com.au to make an appointment to find out how we can help you and your business.